goes to college at FSU and they actually called school for a Snow Day yesterday! He was so thrilled! But by the weekend we will be bak in the high 70’s. I combined our challenge with this fabulous sketch over at Viva la Verve. Right when I saw it I knew I didn’t want to miss it! in a surprise gift bag and I absolutely use it ever so sparingly because I like it so much! The stamps are both from Verve: Plain Jane/ flower and the sentiment is from Poppy Birthday. 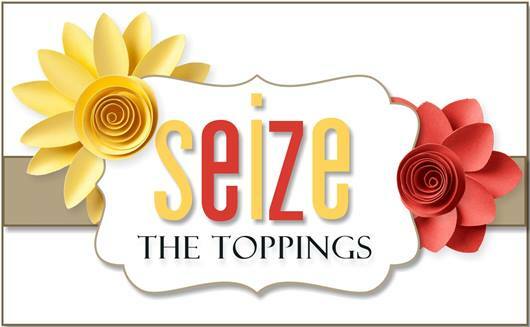 The chevron embossing folder is also Stampin Up. to give it some dimension on pop dots. 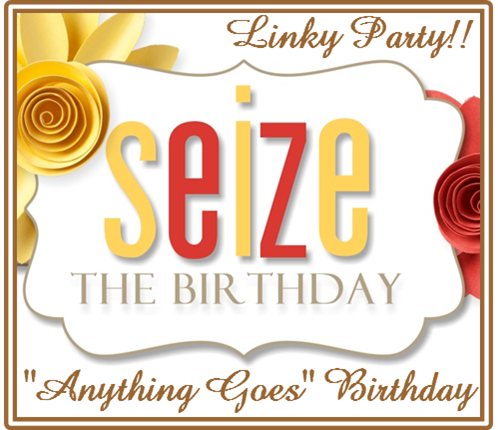 Hope you have a fantastic day and please join us at Seize the Birthday! Categories: Uncategorized | Tags: Card making, Cards, cuttlebug, Happy Birthday, rubber stamps, stamping, Verve Stamps | Permalink. What a great card. Love that chevron background that you embossed. I wonder if I have one of those folders. It seems I did get a whole bunch in a bundle one time and at least one is similar. Love all the colors you chose too. Love your card Nancy and that DSP is perfect with your pretty flowers. Great job with the sketch. 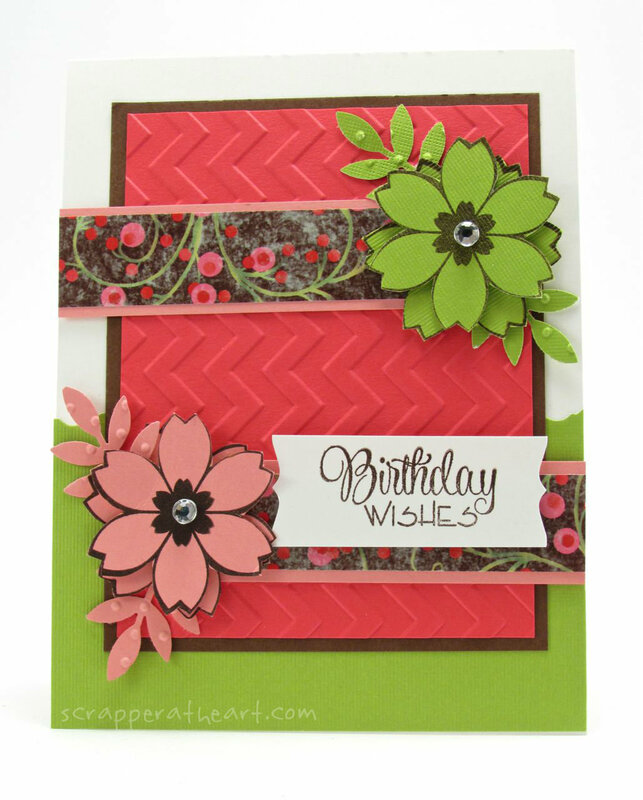 LOVE your colors, your embossed chevrons and your flowers with the swiss dots embossed leaves! Pretty card, Nancy! This is beautiful! What great colors, and I love that embossed chevron background. Those fun flowers are perfect….great job! Your card makes me think of Spring which is a welcome change from all the snow I am currently looking at! Lovely flowers and very pretty DSP. Beautiful card, Nancy! Love the flowers and fab embossed background. The papers and color combo are so cheery! This may sound crazy, but the colors on your card make me thing of oranges and limes…and summer! So bright and cheerful. Very pretty card Nancy! Your color choice here is just stunning, Nancy! The black really makes everything pop and that dp is gorgeous! The bold colours are fantastic Nancy! Love the layered flowers. Great card!